Your money and your work are important, so choosing reliable companies matters. These are the recommended companies and voices I actually do business with and trust. They’ll help you win with money, grow in your faith, and build your brand. According to YNAB: “On average, new budgeters save $600 by month two and more than $6,000 the first year!” Pretty solid return on investment. YNAB contains all of our daily expenses AND our sinking funds for major purchases, including yearly premiums. We love YNAB and so will you. I’ve never found any better software for a personal family budget. You can see my actual household budget categories here. Take YNAB for a test drive for 34 days. I’d love to hear how it works out for you. I use Ebates all the time to save money with online purchases. The big key here is to only purchase items you were planning to purchase anyway. No discount chasing. If you sign up through my link and spend $25 through Ebates, you’ll get $10 cash back and I’ll get a $25 referral bonus. 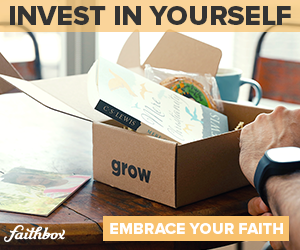 Faithbox is a monthly subscription box (think Birchbox or Barkbox for Christians) and is filled with products from companies who have a positive impact on the world plus our self-published devotional and an impact guide. Each box sent also provides 3 meals to hungry kids via our non-profit partner. You know I love this! Christian living books are a great way to invest in yourself and invest in your faith. If you choose to sign up, I’d love to hear about what books you’ve received! Shoot me an email. Everyone has a story to tell and almost anyone who can write or speak should start a blog. You don’t have to start a business blog (like this one), you may want to start a family blog. However you do it, putting your voice out into the world is both risky and rewarding. We live in a time when communicating with the world is easier than ever before. Since I’m still fairly new to the blogging scene I thought I’d share the companies I’m starting with. It took more time to research and understand than I had anticipated, but so far into this project I’m still very happy with my decisions. Pre-step is to choose your topic. What do you enjoy enough to write about 3-5 times per week? It is important to consider how much time you’ll be spending with this topic before committing to it. For example, I’m a hobby beekeeper. I enjoy spending time with my honeybees, and I enjoy extracting honey and of course eating honey. When I considered a blog dedicated to beekeeping I quickly realized it was not for me. There are a lot of beekeepers who can write about honeybees 3-5 times per week. I’m not that guy. Point is you need to know you won’t get bored. So, pick a topic and make the jump. I prefer simplicity in everything I do. After some searching, I found NameCheap.com to be the simplest and cheapest domain registrar. In fact, I transferred all my all my domains over – even my wife’s. You can spend hours or days of your life researching hosting companies to find the deal of the day (like I did), or you can just pick one, set it up, and move on. Truth is most hosting companies are all owned by one or two hosting giants. They just have a lot of brands. I’ve chosen HostGator for my sites. It has nothing…and everything…to do with the gator. 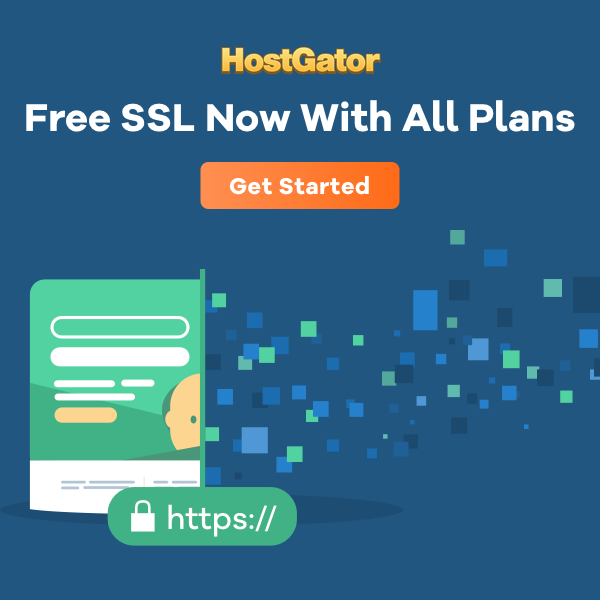 If you happened to choose a ‘one-click install’ from HostGator you could skip this step and already be working with WordPress. Once you own your domain and purchase a hosting package, it’s time to create the site. A lot of this can be done free, but the problem with free is it’s not scale-able. You’d need to make major changes. Since I have big hopes for this site, I chose to plant where I had room to grow. Behind-the-scenes of Cheerful Money you’ll find Self-Hosted WordPress, Genesis Framework, and the StudioPress Digital Pro Theme. The three work together in perfect harmony. Learn how they work together at Studio Press 101. I chose the Digital Pro Theme for it’s modern design and clean, minimal look. The most important tool you need to succeed at online business is an email marketing service. As soon as your site is live you need to start collecting emails. 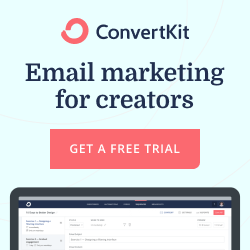 One of the simplest tools to use is ConvertKit. Step Five: Build and Create! It’s time to make your site look and feel beautiful. If you’ve chosen the same setup as I did in step three, my recommendation is to create the demo. One of the strengths of StudioPress is their in-depth setup instructions. Take the time to go through it step-by-step until your site looks exactly like the live demo. That will make it a whole lot easier to simply replace page titles, images, etc. to match your personal blog. After that, it’s time to create. Write, write, write…and then write some more…which brings me to my final point. It’s a point some people overlook when following the lore of online business. If you don’t like writing you won’t like blogging. Seems obvious, but to some people it’s not. At the end of the day, content is king and most blogging content is the written word. You can still follow the steps above. When it comes to creating content though you need to focus on video or audio (podcasting). Figure out what kind of content you like to make and jump in with two feet. Some of the resources listed on this page contain affiliate links. If you choose to purchase one of them, I will receive a small percentage of that sale for the referral. It’s a friendly way to support this website if I’ve been helpful.